Looks like the sale of Hulu will shift up a gear this week as bids need to be in this week. And potential bidders will need deep pockets as the bidding starts at $1.5 Billion. a report from All Things Digital report that the online TV site Hulu owned by Disney, News Corp, and Comcast will be looking for bidding at around $1.5-2 billion plus for the website and content licenses. Hulu is a TV on demand catch up website that streams content from TV networks ABC, NBC, and Fox. Any buyer of the website will insist on keeping the streaming rights, but for how long and exclusivity details are not yet clear. Interestingly, the actual details of what is being sold and therefore the price expected is still up for discussion. The owners may want to keep a stake in the company and the number of years guaranteed content is also pliable. The website was put up for sale in June, and has received interest from the likes of Yahoo!, Google, Apple, Amazon and Microsoft. Although Microsoft are said to have pulled out of bidding. 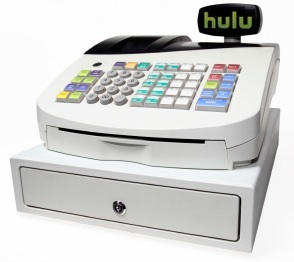 Hulu Board Pondering Sale To Yahoo?